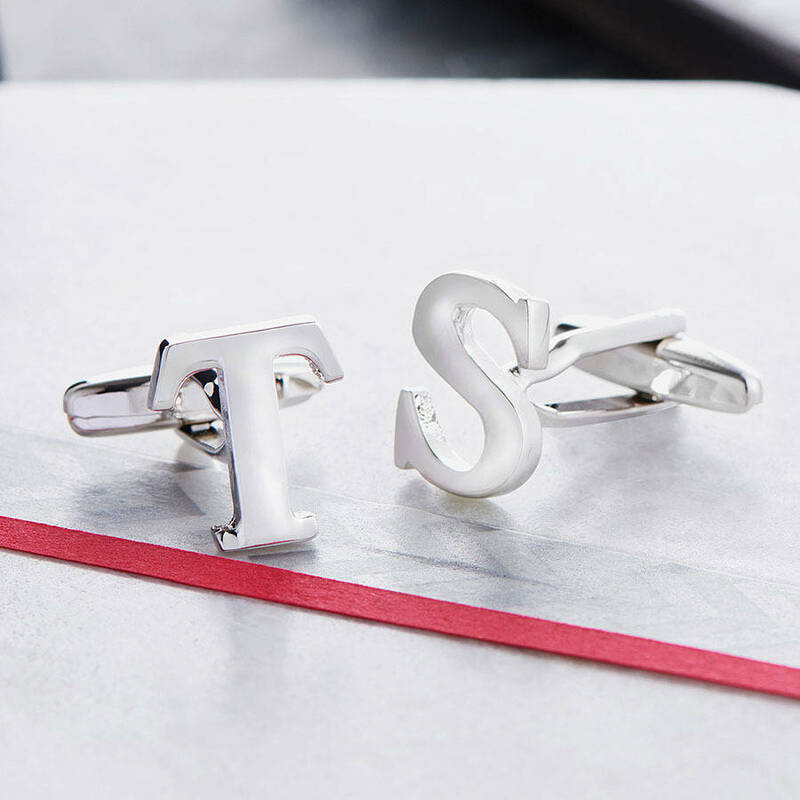 Tell the world who you are with our stylish initial cufflinks. 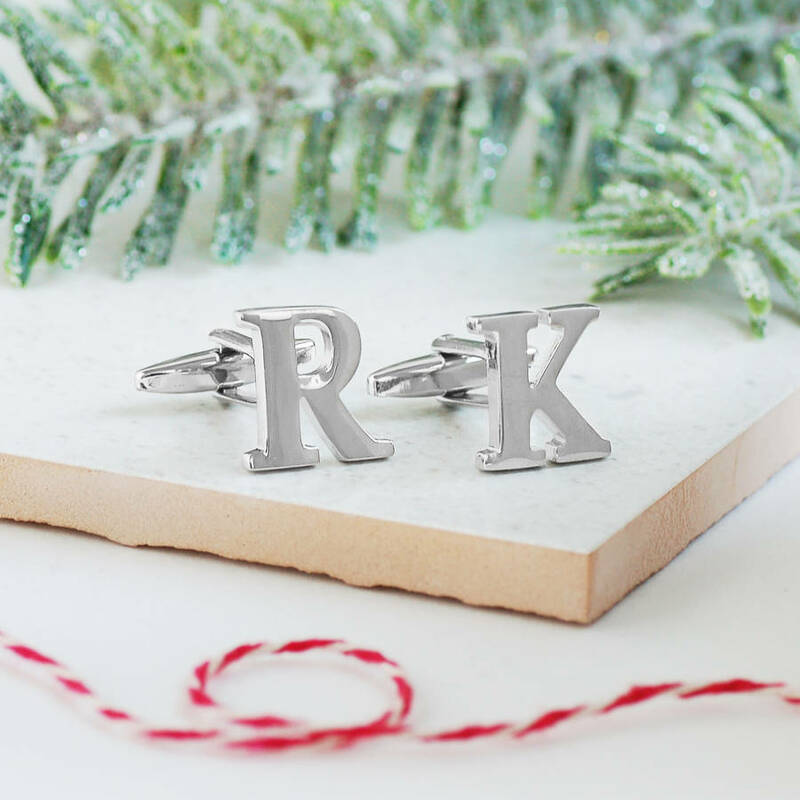 Choose letters which mean something to you - your initials, your children's initials or perhaps yourself and your partner. 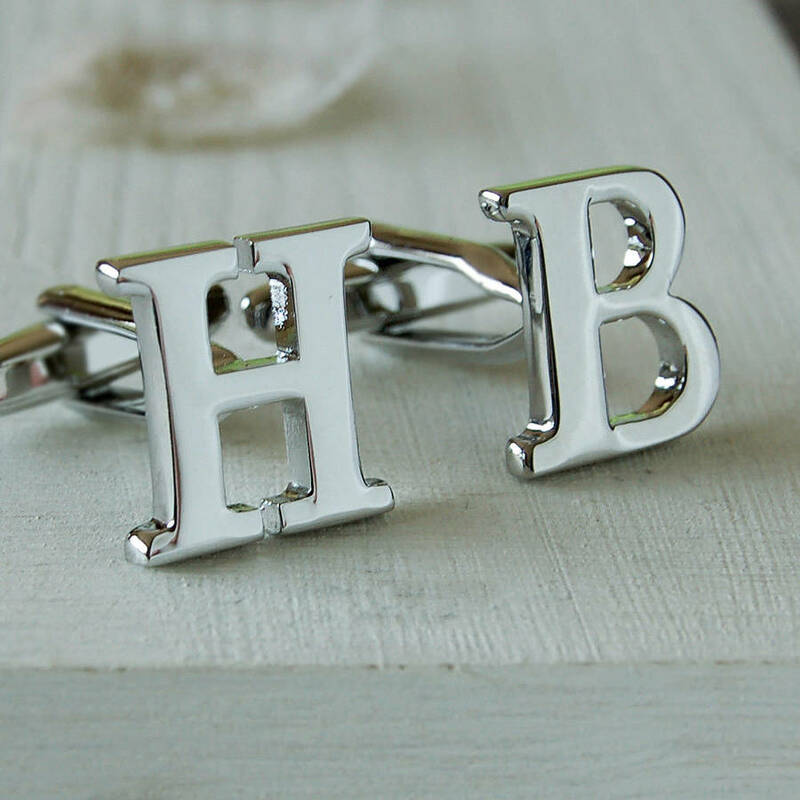 These cufflinks make a great gift for Father's Day or as a wedding gift for the groom and his best man. 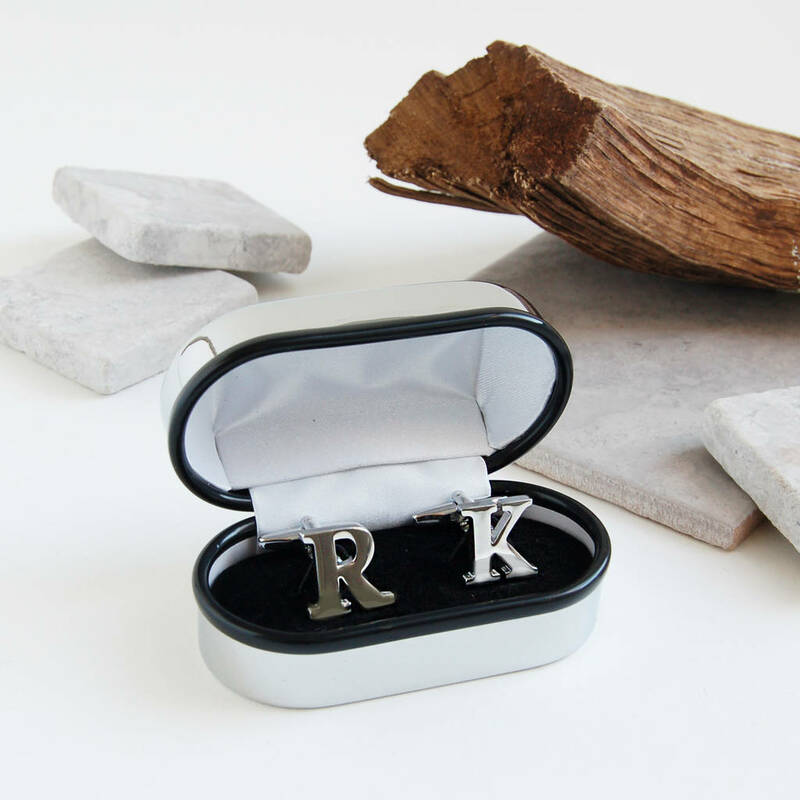 A black presentation box with a hinged lid and white satin lining is included in the price. 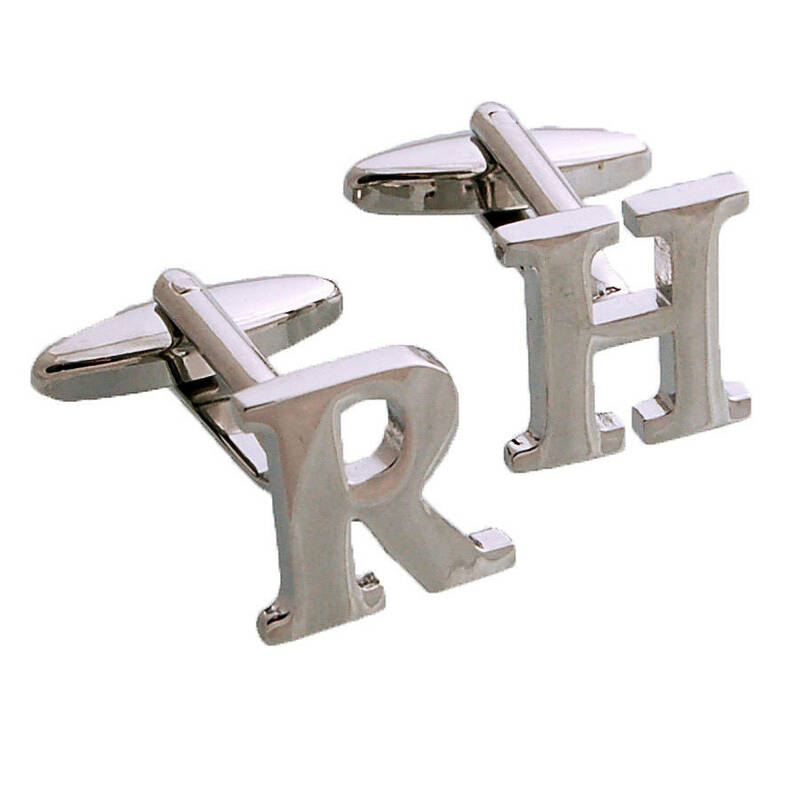 Alternatively, you can choose to upgrade your cufflinks to a chrome box which doubles as a travel box. 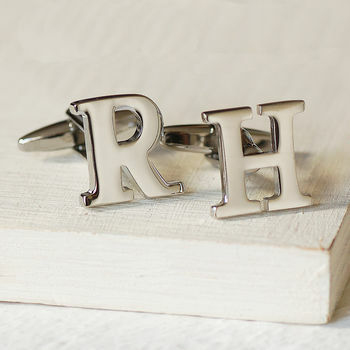 This can be engraved with a message of your choice. 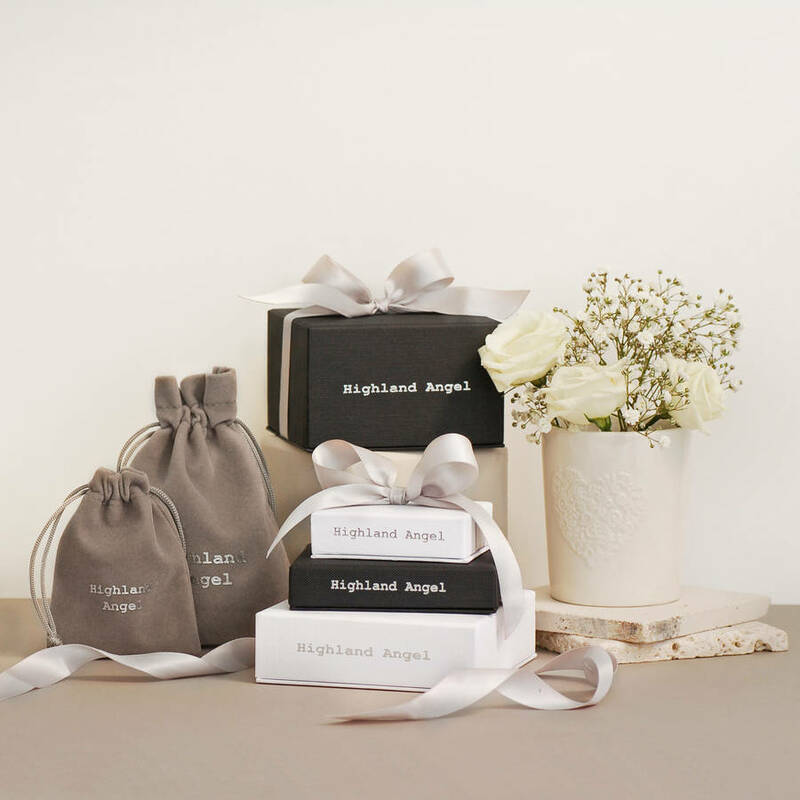 The chrome box will arrive in a grey Highland Angel velvet pouch or a black Higland Angel gift box, if selected. If you have any questions about the engraving of the chrome box, please contact us by using the "Ask Seller A Question" button. 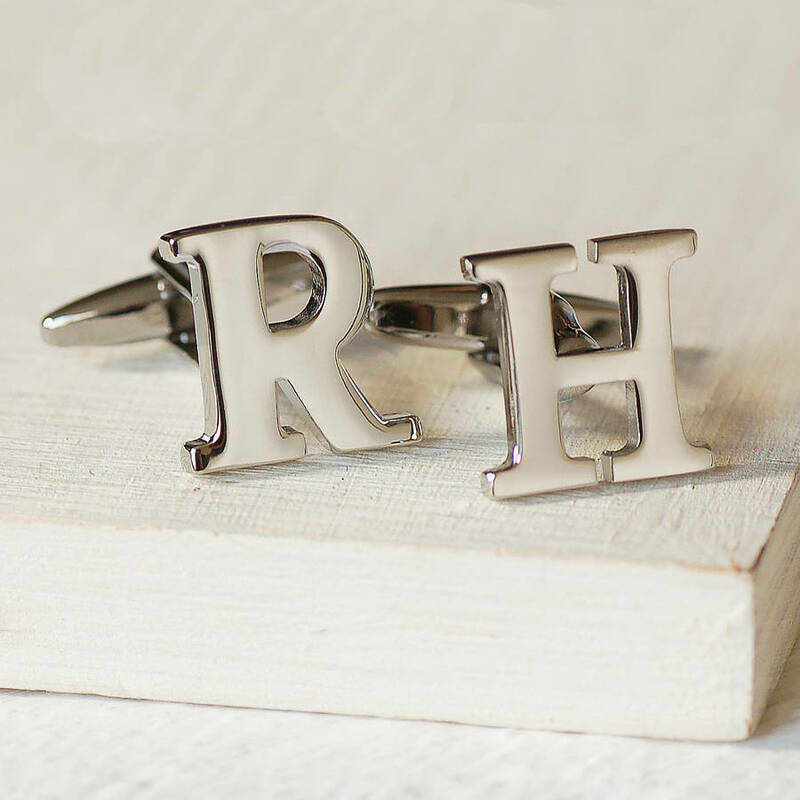 Multiple pairs - If you wish to order more than one pair of cufflinks please enter the personalisation you would like for the first pair, and click 'add to basket'. Then go back to the product page and go through the same process for each pair, adding to the basket as you go. We are happy to send your order directly to your recipient. A personal message can be added. This will be printed onto the gift receipt and enclosed with your order. No pricing information will be given. If you would like your order to be gift wrapped, please select the gift box option from the drop down menu opposite. 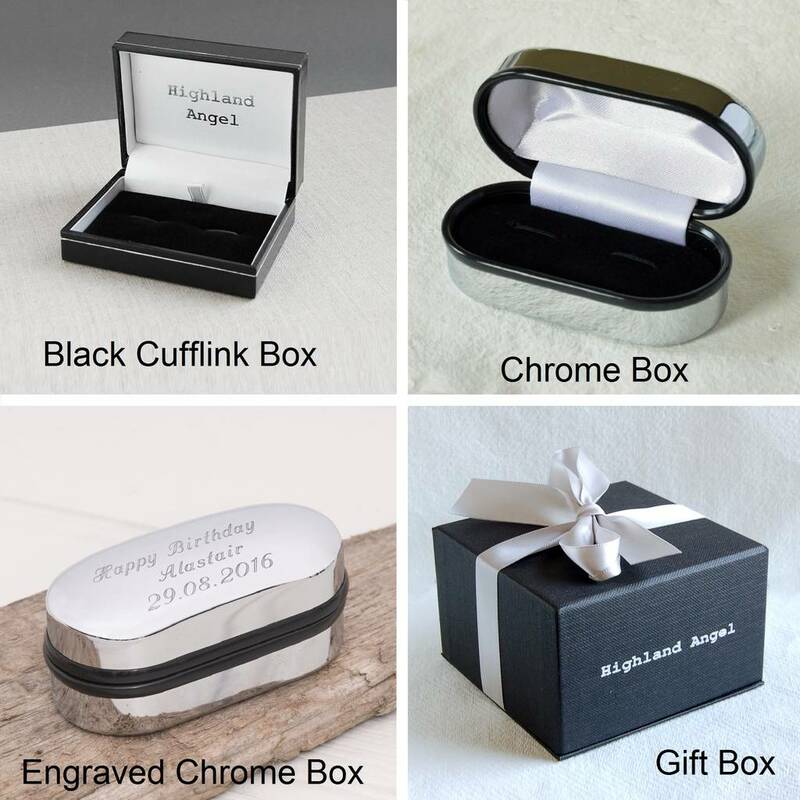 We will then place the black box in a black gift box which will be tied with satin ribbon. 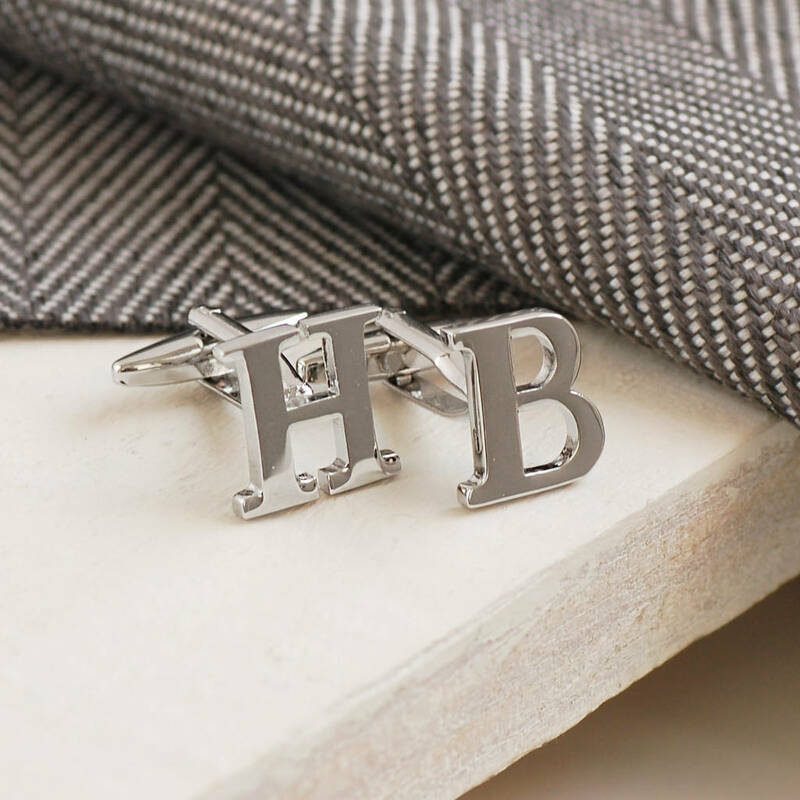 Silver coloured steel-plated brass metal cufflinks. 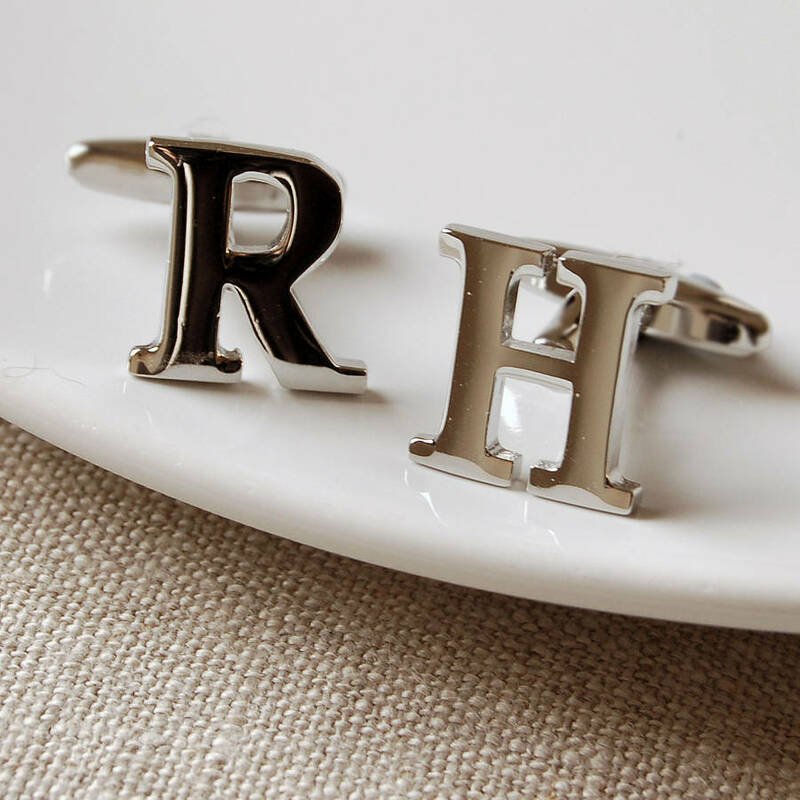 Care for your cufflinks by polishing occasionally with a soft cloth.